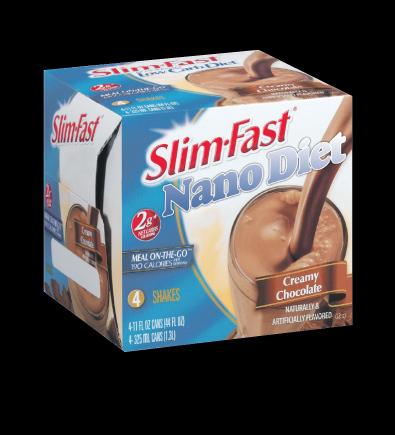 Slim Fast contains all the nutrition you need – and keeps you from wanting to eat any more. This three-times-a-day diet shake contains nano-capsules of leptin, peptide YY, and other hormones that naturally diminish your appetite. A combination of quick-release and slow-release capsules circulate through your bloodstream to prevent the uncomfortable hunger that often comes with dieting. Slim Fast promises safe, lasting weight loss without surgery or struggle.